I've reviewed a number of eye creams and eye treatments on here and most of you have probably heard me lament about how dark circles are my primary issue. I'm always seeking out products that specifically target them but I don't want to forget about other concerns like wrinkles fine lines, puffiness and sagging. 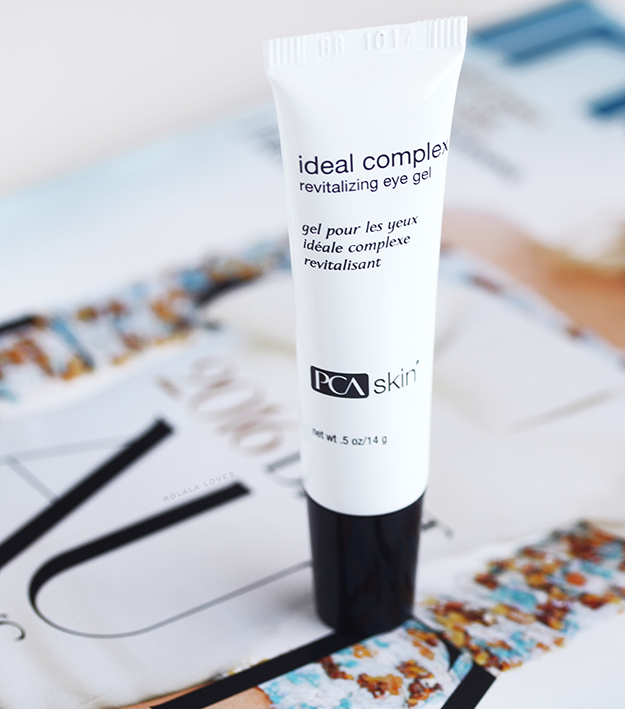 PCA Skin Ideal Complex Revitalizing Eye Gel is a product that has been specifically formulated to treat multiple eye concerns so I had to try it. About the Brand: The PCA SKIN brand was founded in 1990 by an aesthetician and developed by a dermatologist. PCA SKIN has been and continues to be a trusted innovator in the development of highly effective professional treatments and daily care products. PCA SKIN products are scientifically developed and carefully formulated to improve the health and appearance of skin using the best combinations of innovative ingredients to produce safe, highly effective products that deliver on their promises. PCA SKIN products are cruelty-free and free of potential irritants like synthetic dyes and fragrances. Product Claims: This cutting-edge eye gel strengthens, firms and lifts the skin around the entire eye area with a unique formulation that utilizes the latest science, combining proven ingredients that can be applied directly to all areas around the eye, including the eyelid, to treat all the common concerns of the aging eye area and achieve dramatic results rapidly. It's light gel texture is suitable for all skin types. Key Ingredients: Myristoyl Nonapeptide-3, a peptide that provides similar benefits as vitamin A like increasing cell turnover and collagen synthesis without irritation. Citrus Aurantium Dulcis Callus Culture Extract (Orange Stem Cell Extract) increases the production of collagen and elastin as it organizes and redensifies the dermal structure to reduce fine lines and wrinkles and increase elasticity and firmness. Albizia Julibrissin Bark Extract and Darutoside reduces upper eyelid sagging, strengthens skin and reduces crow’s feet. Myristoyl Pentapeptide-8 and Myristoyl Hexapeptide-4 stimulate collagen synthesis and tissue repair. Packaging: A standard clinical looking tube that the product gets squeezed out of. How to Use: After cleansing and applying skin care, pat a small amount around the eye area and directly to the eyelid twice daily. My Thoughts: The product is a clear and scentless gel with a silky texture that is easily absorbed through gentle patting which is usually how I like to apply all my facial and eye care products. I've been using it twice a day for a week and while I can't say that I've seen any visible results yet, this gel does do a good job of moisturizing, smoothing and firming up the eye area. I usually use richer creams and I was initially concerned that it wouldn't provide enough hydration. It does and I'm excited about seeing some more long term results in terms of dark circles and puffiness as I continue using this. I've always used creams but I quite like the lighter weight of the gel and it'll be good especially during the summer months. The company also makes this product in a richer texture which is their Ideal Complex Restorative Eye Cream that I will have to check out if I continue to see positive results with this eye gel. I had no issues with irritation or sensitivity while using this product. Yes it is a little pricey but if it works, it's worth it to me. I'd rather pay more for products that actually work than drop a bunch of cash on less expensive ones that don't anyway. I've been sleeping pretty well lately so the dark circles have been less vexing and I hope this gel will further help to eradicate them. 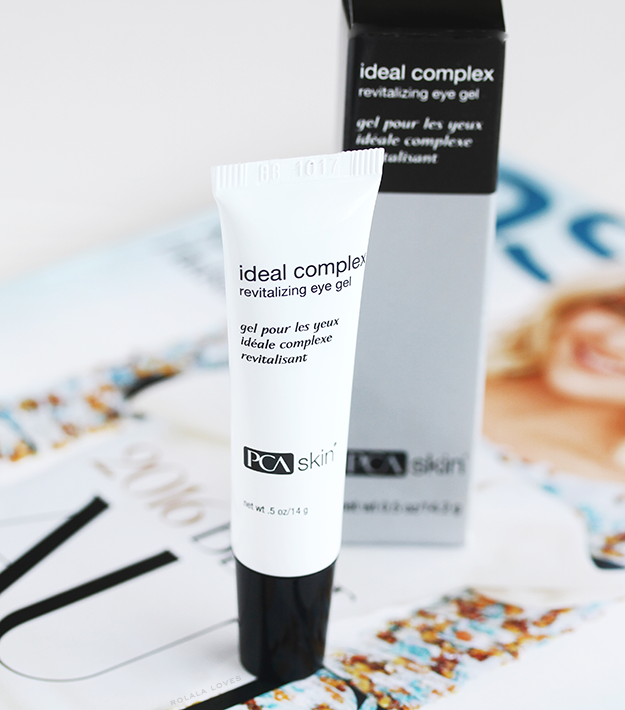 PCA Skin Ideal Complex Revitalizing Eye Gel is available for sale through the PCA SKIN website and through physicians and licensed skincare professionals throughout the US and over 50 countries worldwide. The brand is offering free shipping on all orders through the end of June with the promo code BrandBacker. 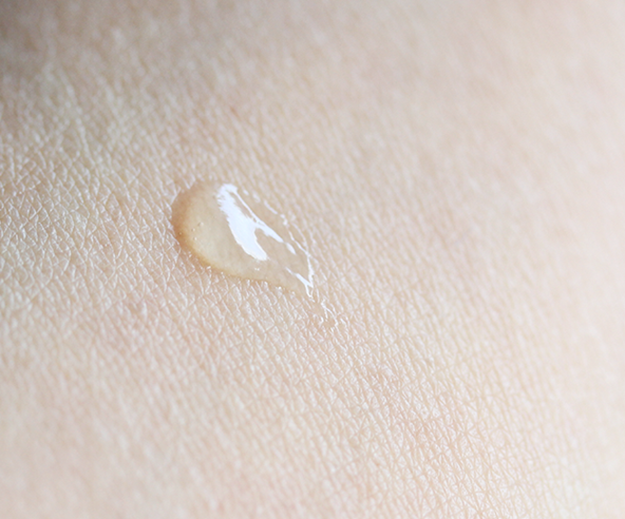 What eye cream or eye treatment are you currently using? Disclosure: This post features products received for editorial consideration and may contain affiliate or referral links. 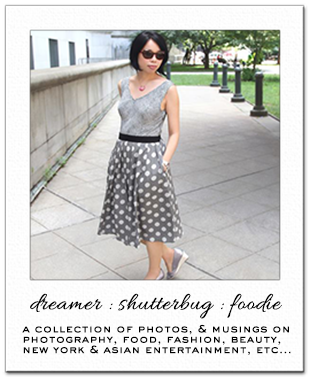 For more details about my product review policy, copyright, and information about affiliate links, please refer to Policies page of this blog. How did you know I was in the market for an eye cream Rowena? I've been trying to find a good one so please keep me posted on how this reacts with dark circles. Thanks for all of your amazing reviews. Thus revitalizing gel product sounds amazing! It is true that at 84 dollars it's a bit pricy but as you say isn't it better to pay for one products that actually works than to bother with dozen of products that don't (and probably end up paying more and spending more time using them). When we find something that really works for our skin, some product that our skin likes and responds well to, we should go for it. Sounds pretty good so far! Ouch at that price tag t hough. I remember you saying that you have a problem with dark circles. It's good that there are products that deal with it, and I hope that this one will do the job. I also opt for lighter moisturizers and gels during the warm months. Have a nice day ahead, Rowena! It sounds promising will like to use it like the idea it absorb fast and is light. I use murad. A bit pricey in my opinion and if you haven't had any visible results yet... not sure if I would go for this product. The packaging looks nice though. This eye gel sounds interesting!!!! I need it! I use the Resultime one, which claims to increase collagen production and another one that should decrease dark circles and puffiness - quite a task when you have a newborn at home. i like this brand--i have used some of their stuff in the past. I love that this range was created by a dermatologist. Like you, I am a little hesitant to use lightweight eye cream because my mature skin usually needs something heavier but glad to hear it worked well for you. I'll check out their website, free shipping is a huge bonus. PS I'm stuck at Ep 14 right now, as the Viki likes to torture me and make me wait....waaaaaaaah! that sounds good.. i always find it hard to splurge..
every time i think about splurging I end up talking myself out of it. I think getting it to moisturise is half the battle. Looks like a fab product. Your photos of this are stunning! 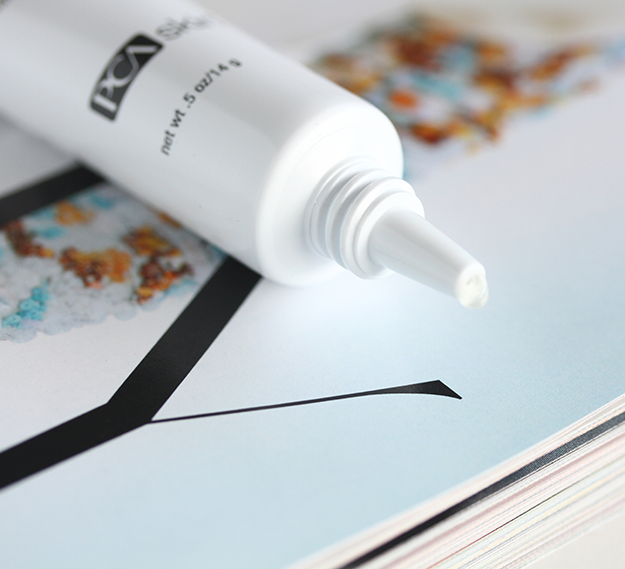 I always love a good eye cream or gel. The one I'm into right now is a coffee bean version by 100% Pure. I used 2 of their serums which I loved, yes keep me posted on the puffiness factor and if it is good for this. This PCA skin soung really great. This sounds like something to look into for sure. I have a problem with dark circles myself and lately this is something I am trying hard to combat. Thanks for the review. Glad to hear that it's working for you. I got a sample of this recently but haven't tried it yet. I have sensitive skin so it takes me a while to warm up to eye cream especially. Great review as always. Love that it moisturises your face. It's good that this one is absorbed easily.